KUCHING, 13 APRIL 2019, SATURDAY: Warisan Sape’ Telang Usan’s acclaimed performances of traditional lute or sape’ melodies have been recorded for limited non-commercial release in CD form. 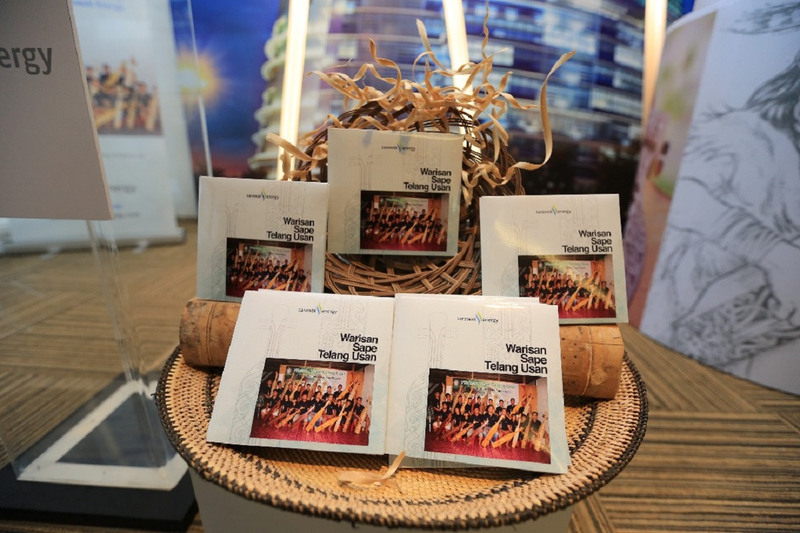 The CD is sponsored by the Sarawak Energy Group as part of the energy developer’s collaboration with Baram communities to preserve their musical heritage. The CD was launched recently at Menara Sarawak Energy by the Group’s Executive Vice President for Corporate Services, Aisah Eden. Featuring 11 songs, the CD was recorded at Radio Televisyen Malaysia (RTM) Miri in November 2018. The first batch of 150 CDs will be distributed by the company as corporate gifts pending approval from the National Film Development Corporation Malaysia (FINAS) for commercial release of the CDs. Aisah was joined by Group Chief Operating Officer, Lu Yew Hung (卢友云); Vice President for Internal Audit Rafiuddin Yeo Bin Abdullah, General Manager for CSR and Sustainability Jiwari Abdullah, Manager for Community Relations Augustine Supen Taja, Long San community leader Lucia Paya and village headman, KK Mattius Erang as well as members of the Telang Usan community. The sape’ troupe also performed at the launch and were joined by internationally acclaimed musician Matthew Ngau and Miss Malaysia World 2018 Larissa Ping. The group is the first batch to have graduated from the Sarawak Energy sponsored training programme launched in 2016. Following the completion of the 18-month programme, they have played at various cultural events including at the Rainforest World Music Festival 2017 and 2018. Warisan Sape’ Telang Usan were recently successful in their bid to enter the Malaysia Book of Records for the longest non-stop sape’ performance of 50 hours, together with sape’ players from Baram and Belaga. The programme was organised in partnership with Long San in Baram and supported by two schools in the area – SMK Dato Temenggong Lawai Jau and SK St Pius. 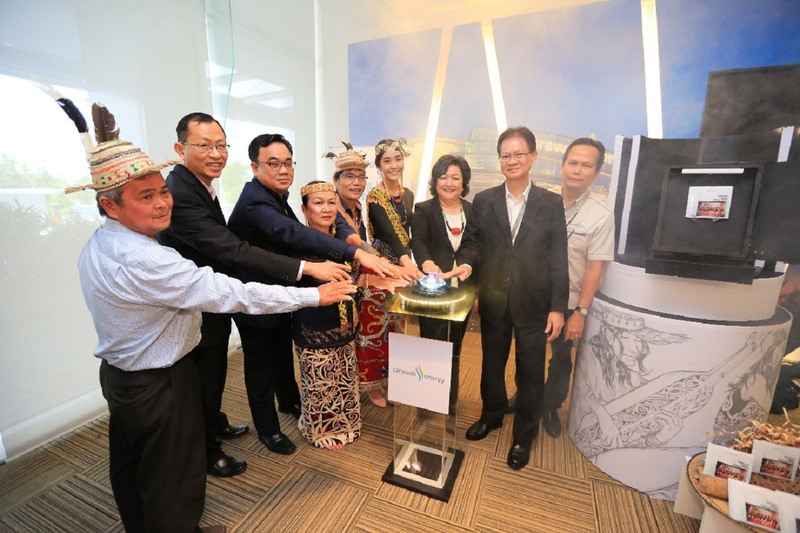 Sarawak Energy will be working with the communities to recruit the second batch of Warisan Sape’ Telang Usan in July 2019. Sarawak Energy Executive Vice President for Corporate Services Aisah Eden (third from right) holds up the Warisan Sape’ Telang Usan CD along with from right; Group Chief Operating Officer Lu Yew Hung, Manager for Community Relations Augustine Supen Taja, Miss Malaysia World 2018 Larissa Ping, internationally acclaimed musician Matthew Ngau, Long San community leader Lucia Paya, General Manager for CSR and Sustainability Jiwari Abdullah, Vice President for Internal Audit Rafiuddin Yeo Bin Abdullah and village headman KK Mattius Erang. 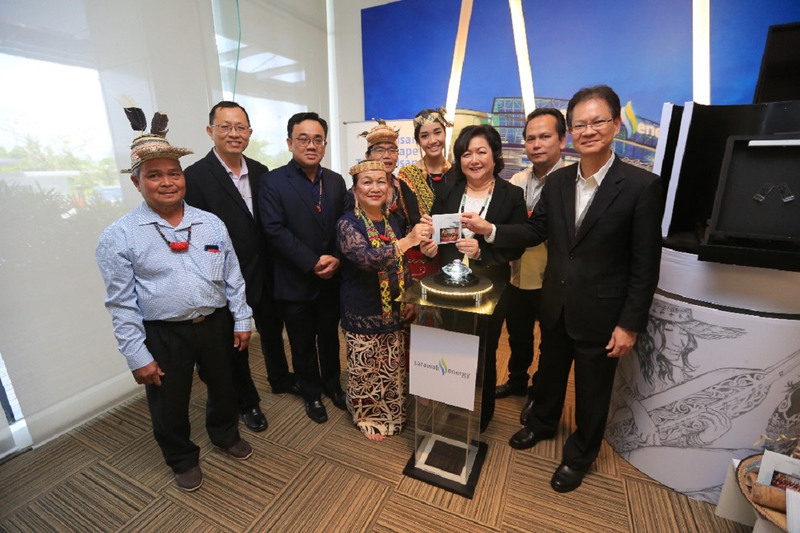 Sarawak Energy Executive Vice President for Corporate Services Aisah Eden (third from right) symbolically launches the Warisan Sape’ Telang Usan CD along with from right; Manager for Community Relations Augustine Supen Taja, Group Chief Operating Officer Lu Yew Hung, Miss Malaysia World 2018 Larissa Ping, internationally acclaimed musician Matthew Ngau, Long San community leader Lucia Paya, General Manager for CSR and Sustainability Jiwari Abdullah, Vice President for Internal Audit Rafiuddin Yeo Bin Abdullah and village headman KK Mattius Erang. Sarawak Energy Executive Vice President for Corporate Services Aisah Eden delivering her speech at the launch event.